In Facelet 2.11 we have implemented a products Lazy load feature. Lazy load lets the app load product collections much smoother. Now, whenever you open a collection, the app doesn’t load the whole products list at once. First, it loads first 30 goods from the collection, and other items appear gradually with the scrolling. This approach to loading products improves the app performance and doesn’t make your customers wait when they open large collections on your iPad. Now you can add tags to products, which indicate discount % or deliver customizable promotional messages about products and deals (“bestseller”, “top of sales” etc). 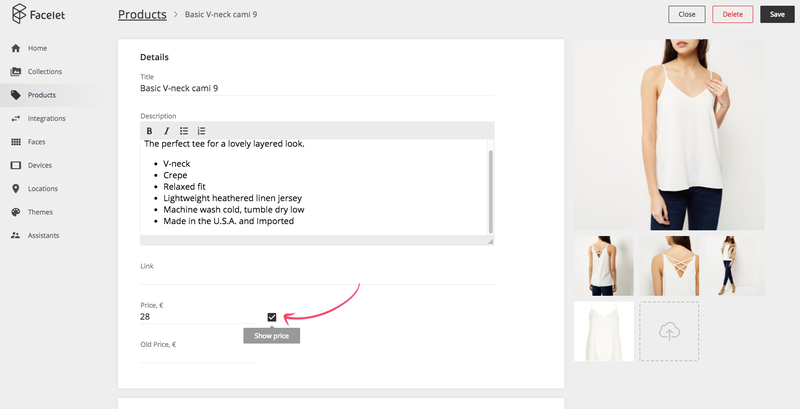 You can also specify product’s old price to let your customers compare and see all benefits of the discount. The deal tag is placed in the top right corner of the screen, the old price — next to the actual price. The process of choosing product options has also been changed. Now, the options layout and selection are more compact and user-friendly. Now, by clicking on the Specify button in the Choose options field, you can quickly select all product options needed. 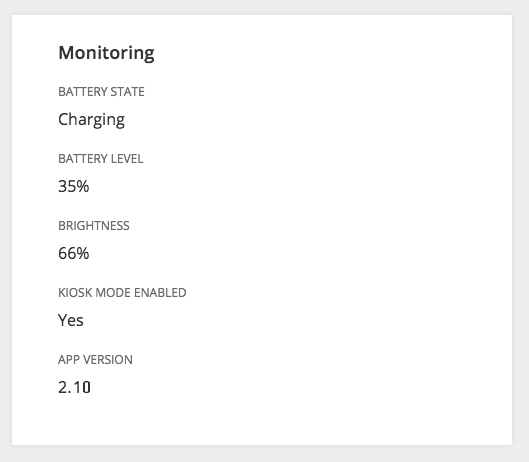 Next to the Description tab, we have added the new Details tab. 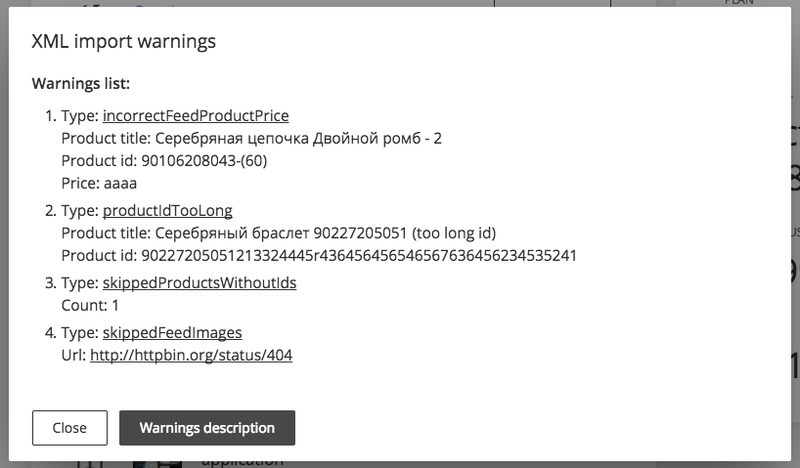 The Details tab lets you show item characteristics in a more structured and comprehensible form, while the Description tab tells more general info about a product. 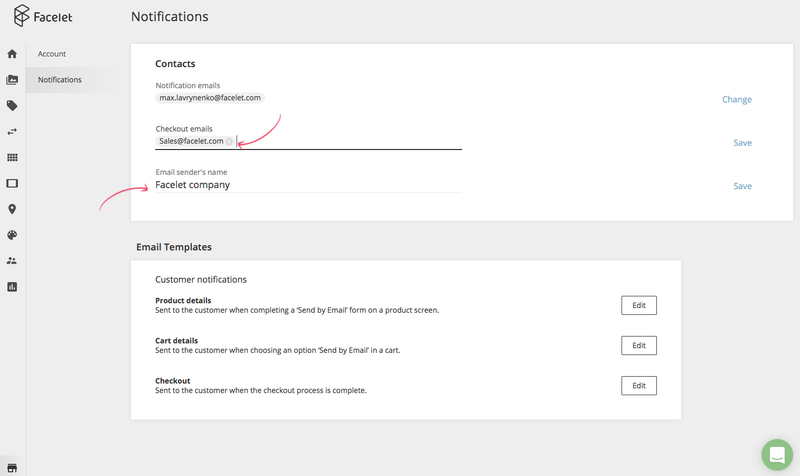 To the email address specified in this field, you will get notifications about the orders made with the Facelet kiosk. The name specified in this field will be displayed as the sender's name in the letters your customers get from your Facelet kiosk. Now, while editing product options, you can delete options much quicker. The new View details button has been added to notifications about the issues occurred during any XML integration process. Download a file with the list of products and errors, which you can send to developers. You now can hide the price of promotional products by checking the Show price box on the product details screen in the admin panel.